Hereby i want to share how to setup 3.5" LCD display (non-HDMI) based on latest Repetier Server Image (v8) for the Raspberry Pi. It took me several hours to get it working and hopefully it's also useful for others because this kind of LCD screen are very cheap and widely used. 3. 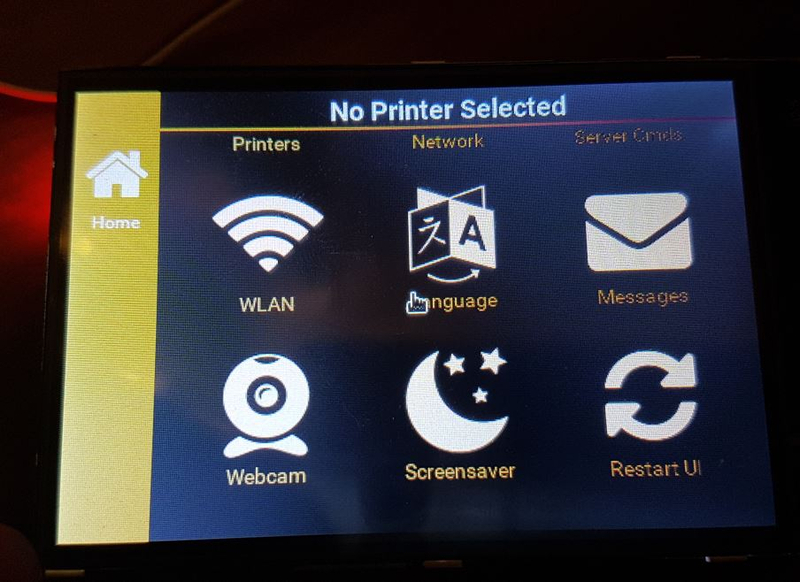 Install Waveshare 3.5" driver display (you need to find and select the correct one for your LCD screen !!!). Afterwards you get rewarded with pretty nice touchscreen control. The touchscreen control from Repetier Server is really fabulous also on small screens. This is so much betten than TouchUI on the Octoprint. hi to you i am making like you but the second file tar xvf /LCD-show-170309.tar.gz its not working? There seems to be typo. You need to type without "/" of course. I'm pretty new to Linux so I have no idea how to exit once you edit the config file any guidance? otherwise you have no write permissions and saving fails. hi.. how do I get into the commandline? After boot I only have a server touch interface over hdmi available on a normal screen and my PI clone touch display is white. When installed rasphian I can use the touch screen but do nt get the touch interface :S.